Chautauqua County sees a nice tourism bump in the summer months. We have Chautauqua Lake, Chautauqua Institution, the many attractions in Jamestown and, of course, the shops and such in Bemus Point. The Hotel Lenhart is one of a dozen seasonal operations here in the county. 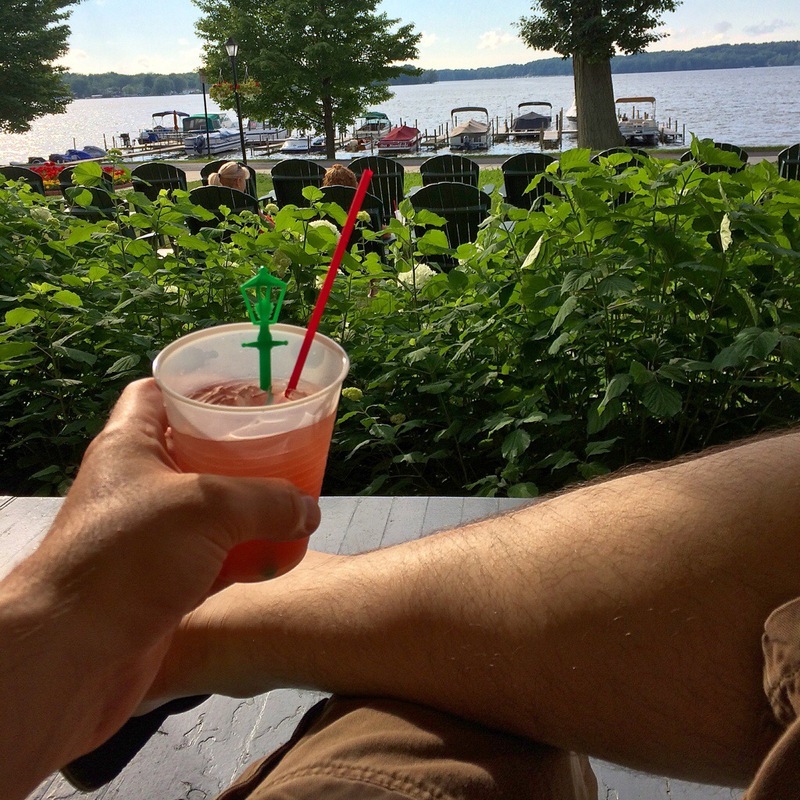 The Hotel Lenhart is a staple of Bemus Point. It has been owned and operated by the same family since 1880, which makes this its 134th year in business. Its regular season is from Memorial Day to Labor Day. •The big feature of the Lenhart is the veranda which wraps from the side all across the front of the hotel. 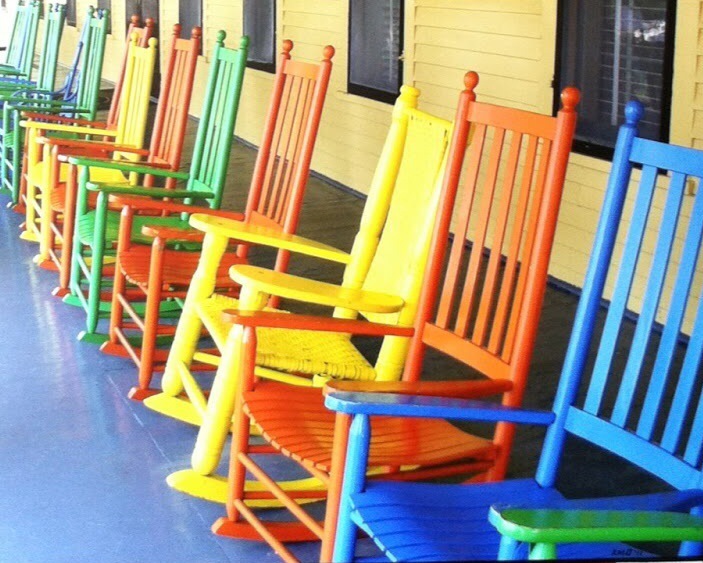 There are 40 of their multicolored rocking chairs for viewing the spectacular sunsets over Bemus Bay. •The dining room seats 125 and is available for special parties. The cocktail lounge, The Lamplighter Room, is located just off the lobby. The drink’s a juicy one, and deceptively potent. If you’re watching the bartender, you’ll only see two bottles used to make the Rocker: vodka and a house mixture. I’m not sure if the recipe’s a “secret recipe” or not, but I don’t know all of what’s in the house mix. What I have heard though is that the Lenhart is the largest consumer of cherry brandy in the county. Whether that means there’s cherry brandy in the Rocker, I don’t know — but I’d say its a safe bet.